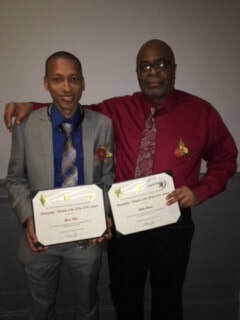 The LAC congratulates Brooklyn Public Library (BPL) and two of their students, Andre Fuller and Phillip Rucker, who were honored as Students of the Year by the New York Association for Continuing and Community Education (NYACCE) on October 23, 2018. They were two of eighteen students were selected from across New York state. Andre Fuller began attending classes at Flatbush Library Learning Center in the fall of 2017. An immigrant from Trinidad, he never finished high school and worked to make ends meet, putting his education on the proverbial back burner. Although it had been twenty years since Andre had been in a school setting, he enrolled in TASC preparation courses and attended every class, even when a member of his family became seriously ill. Balancing class, work, and family was not easy but the results were worth the struggle. He is now enrolled at Kingsborough Community College and is on his way to a career as an accountant. Phillip Rucker had not been to school in 50 years—dropping out in the tenth grade—when, in 2016, he came to the Adult Learning Center at Central Library to obtain his high school equivalency diploma. He wanted to be a role model for his children and grandchildren. Working through medical and family issues, he completed a series of adult basic education courses and moved on to the pre-high school equivalency preparation classes. Rucker successfully completed the TASC exam on the first attempt last July. He encourages and motivates classmates and is an inspiration to younger students. Rucker hopes to attend college and give back to the Library by becoming a tutor. Brooklyn Public Library is delighted to see Andre and Phillip recognized and to provide a welcoming space for anyone wishing to pursue a career, learn something new or explore the world around them. Susan Gaer will be leading a two day workshop called "Exploring Online Tools for English Language Learning on Mobile Devices" on May 24 and 25, 2018. 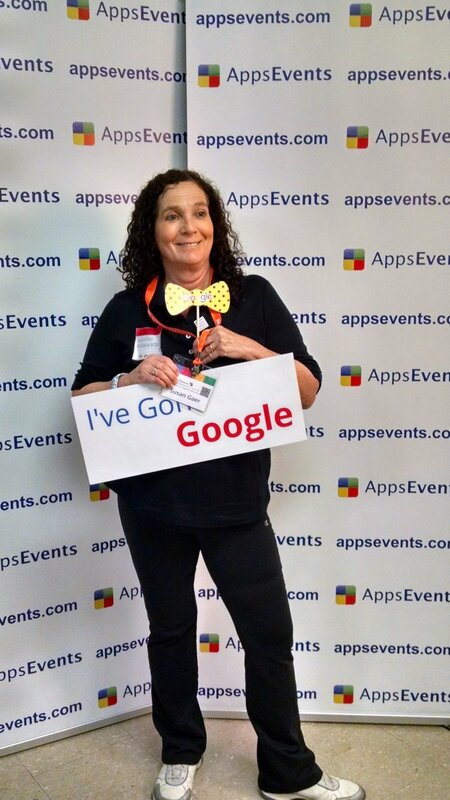 Susan Gaer has been an ESOL adult educator for more than 30 years, and has worked as a teacher, curriculum developer, technology trainer and coordinator at Santa Ana College School of Continuing Education in Santa Ana, CA. She has taught all levels of ESOL from basic literacy through advanced. ​Currently, Susan is working as an Educational Consultant empowering teachers and administrators to provide engaging materials for students. You can see lesson ideas on her website at http://www.susangaer.com. In addition, she is President-Elect for CATESOL (California Association of Teachers to Speakers of Other Languages). 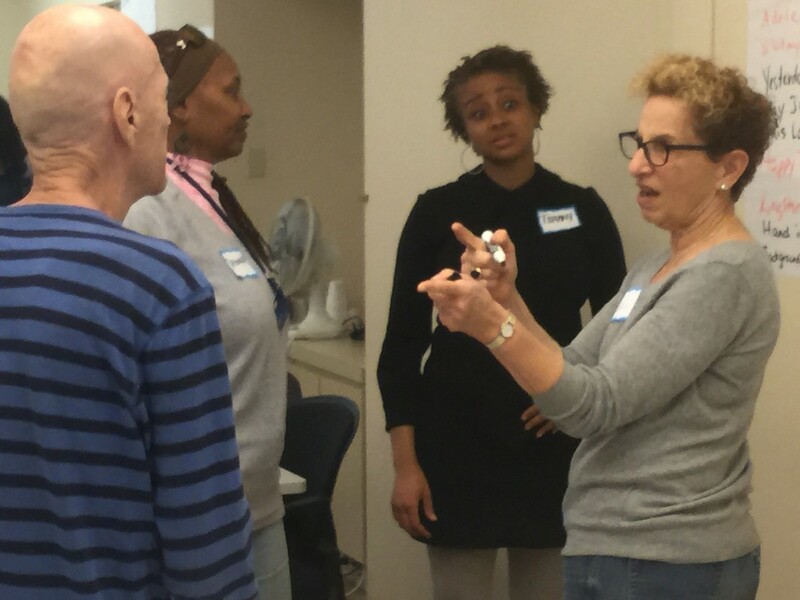 One of the projects that the LAC leads is the New York City Support and Technical Assistance Center (STAC), which is funded by the New York State Education Department to provide support and technical assistance to the 19 Adult Literacy Education (ALE)-funded programs in New York City. 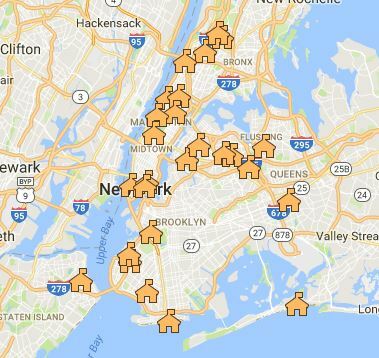 On February 14, 2018, we unveiled a new ALE-funded Program Highlights Section on the NYC STAC website. In this section you will find contact and class registration information as well as a highlight about the program's accomplishments. 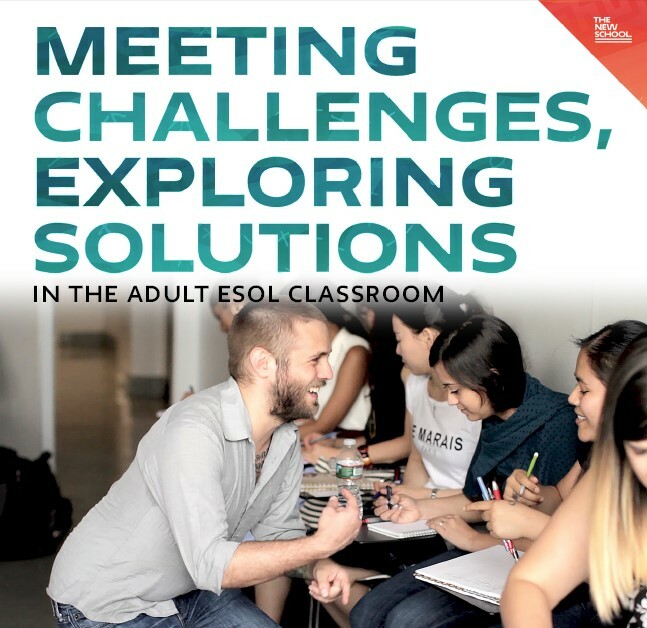 Registration is now open for the third annual MEETING CHALLENGES, EXPLORING SOLUTIONS IN THE ADULT ESOL CLASSROOM Conference, sponsored by the Literacy Assistance Center and English Language Studies at The New School. The day features the plenary "Learning Challenges: Assessment Solutions" by Anne Katz., workshops exploring techniques and ideas to support classroom practice, and presentations focusing on current challenges facing ESOL teachers. Both The New School and the Literacy Assistance Center have a long tradition of excellence in the training of teachers of English to speakers of other languages. We welcome participation by professionals who seek to address critical issues in the field and hone their own craft. The LAC is happy to announce that at the New York Association of Continuing and Community Education (NYACCE) Conference on April 26, 2017, a member of our staff, Nell Eckersley, became a member of the NYACCE Board. NYACCE is the state-wide association that provides information, and support for professionals serving the needs of life-long learners. The Literacy Assistance Center actively supports the work that the New York City Coalition for Adult Literacy (NYCCAL) and City Council Member Carlos Menchaca are doing to advocate for New York City to maintain the $12 million in funding for adult education as well as to "baseline" the funding in the final budget, which would enable the city to provide programs with multi-year contracts in addition to another one year adjustment. The new LAC spring catalog of public workshops is now available! It includes four workshop series in technology, STEM and project based learning. In addition there are a number of standalone workshops on ESOL, Math, Science, Assessment and more. The events on the calendar are open to all. The Literacy Assistance Center is excited to announce the return of adult education professional development workshops open to the public. The Fall Workshop Calendar includes three workshop series and a variety of individual workshops. 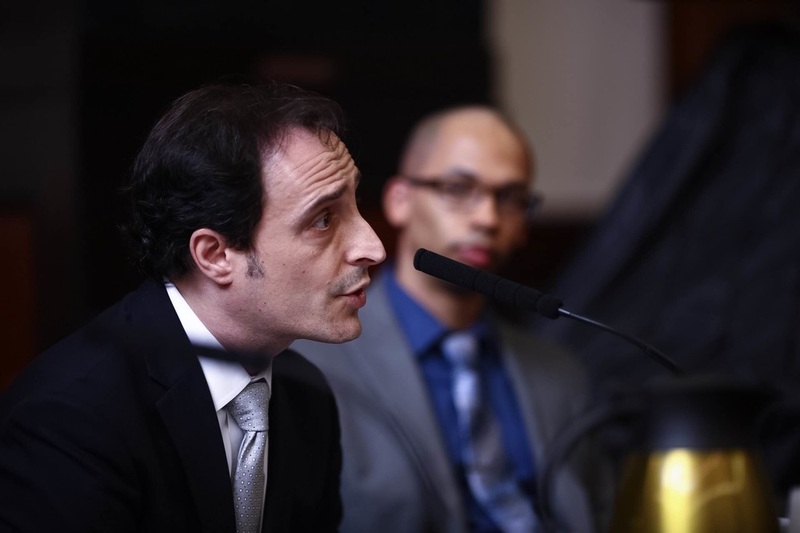 On March 28, 2016, LAC Executive Director Ira Yankwitt testified before the City Council Immigration Committee alongside other advocates from the New York City Coalition for Adult Literacy (NYCCAL) to call for an increase in city funding for community-based adult literacy programs. You can read his testimony here. In 2014, the United States Congress passed the Workforce Innovation and Opportunity Act (WIOA) replacing the Workforce Investment Act (WIA), the primary Federal legislation that funds and oversees the provision of adult education services nationally. The US Departments of Labor and Education have issued various Notices of Proposed Rule Making (NPRM) in 2015 to guide the states in how to implement WIOA. State entities responsible for WIOA implementation are expected to draft and submit WIOA implementation plans by March 2016. Accordingly, the New York Department of Labor (NYSDOL) and New York State Department of Education (NYSED) collaborated to create a Combined State Plan and posted it for public comment in December 2015. ​To see the LAC’s response to the NYS Combined State Plan go to this link http://bit.ly/LACWIOAResponse. It includes our recommendations on what to consider when developing the State plan, especially as it applies to the adult education system in New York State. We have also gathered other WIOA related materials that might be helpful. You can find them at this link http://bit.ly/LACWIOA. The latest New Yorker of the Week keeps her students inspired, disclipined and determined on their road to their American dream. NY1's John Schiumo filed the following report. Growing up, Laura Jimenez called two places home. Living at times in Mexico and the United States, she learned what new immigrants need. "Everybody is important," Jimenez says. "No matter where you come from, no matter you know what your background is, you're a person. You deserve to be treated in a nice way." Now, Laura is doing that and so much more. After fulfilling her dream of becoming a U.S. citizen, she's helping others. Laura is the citizenship preparation instructor at the YMCA's New Americans Welcome Center on Staten Island. It's the borough she's lived in for almost 30 years. 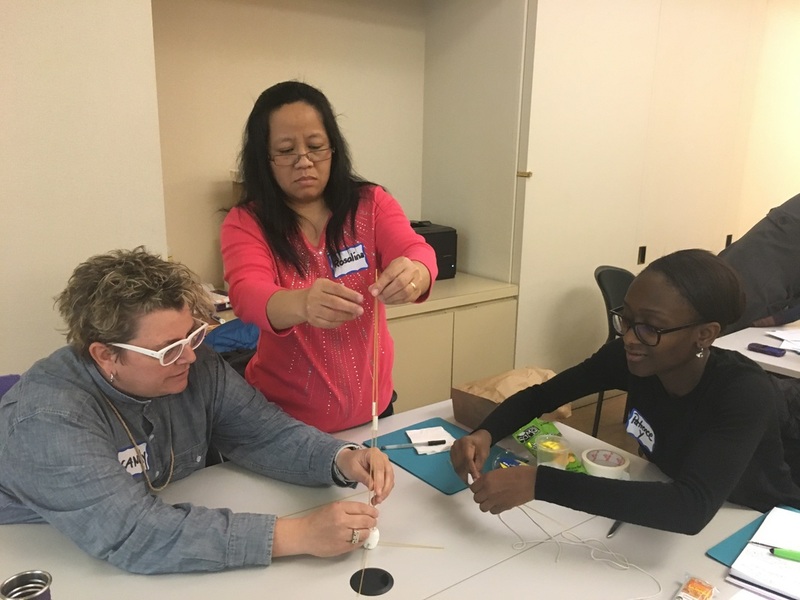 ​Last Saturday I took part in a welcome new addition to the conference circuit: Meeting Challenges, Exploring Solutions in the Adult ESL Classroom, presented by The New School and the Literacy Assistance Center. Set amid East Village foliage, catered with New York bagels like only New York can make New York bagels, intermingled with music by the Mannes School, and packed full of relevant sessions, it was a Saturday well spent. Conceptual Understanding in Instruction: It Really Works! This is a one-day conference hosted by The New School in partnership with the Literacy Assistance Center to provide English language teaching professionals with a space to learn from one another, share ideas, and network. Both The New School and the Literacy Assistance Center have a long tradition of excellence in the training of teachers of English to speakers of other languages. The day will consist of a plenary by a leading researcher in the field, followed by hands-on workshops to support classroom practice. There will also be panel debates exploring current challenges within the various contexts in which adults learn English. 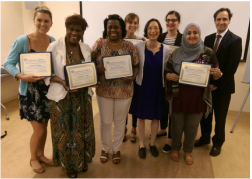 The Literacy Assistance Center (LAC) is proud to announce that it has partnered with the Educational Testing Service (ETS®) to provide professional development and technical assistance to adult educators in states that have adopted ETS’s HiSET® exam. The HiSET® is an alternative high school equivalency test currently offered in California, Hawaii, Iowa, Louisiana, Maine, Massachusetts, Missouri, Montana, Nevada, New Hampshire, New Jersey, North Carolina, New Mexico, Oklahoma, Tennessee and Wyoming, along with U.S. territories Guam, Northern Marianas, American Samoa and The Republic of Palau. The LAC’s programming will consist of webinars, workshops, on-site services, coaching for increasing instructor efficiency as well as technological integration into course instruction. The LAC's main goal is to cultivate a community of effective education professionals who are preparing students to earn their high school equivalency certificates and become better prepared for college and careers. "At the LAC, we envision a future where everyone has the opportunity to actively participate in civic affairs, achieve economic security, support their children's schooling and more," said Ira Yankwitt, Executive Director of the LAC." By teaming up with ETS®, we can help more adults achieve this." "This is a great opportunity for us to help those who are at the forefront of education - teachers," explains Jonn Oswald, Vice President & General Manager, K-12 Student Assessment Programs at ETS®. "We're looking forward to assisting the community in preparing their students for future success." For more information about ETS's® HiSET® program, please visit http://hiset.ets.org/. 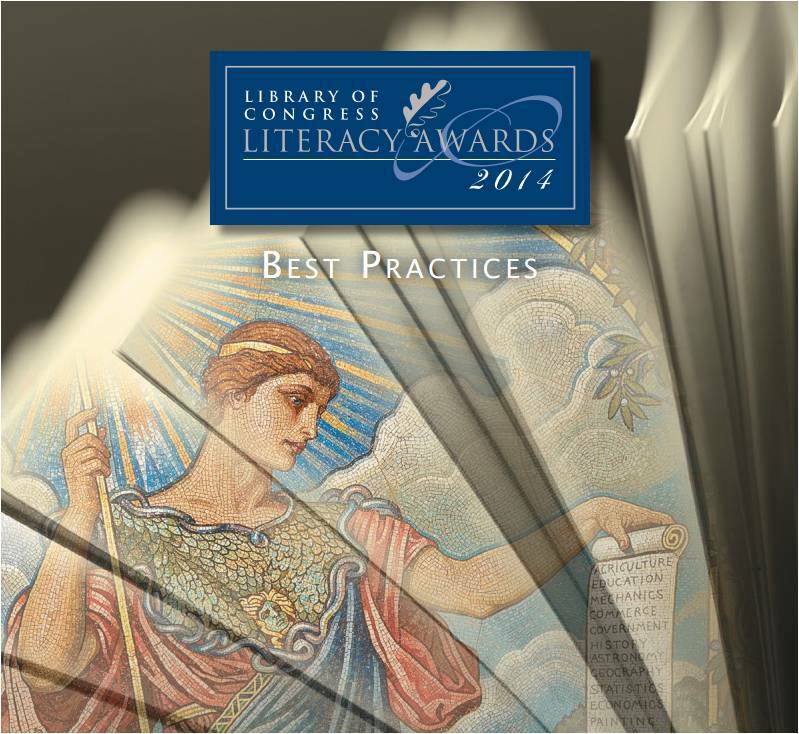 The LAC was honored to be recognized on October 8, 2014 by the Library of Congress as one of 14 US-based and international "Best Practices" organizations. 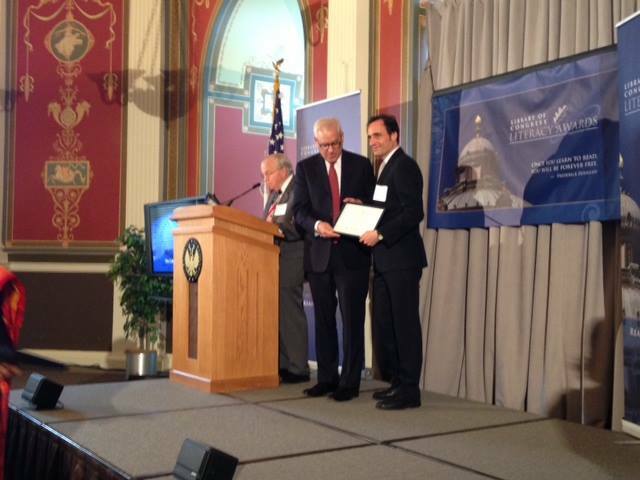 Through the generosity of David M. Rubenstein, the Library of Congress Literacy Awards Program honors organizations that have made outstanding contributions to increasing literacy in the United States or abroad. The awards also encourage the continuing development of innovative methods for combating illiteracy and the wide dissemination of the most effective practices. They are intended to draw public attention to the continuing need for literacy services and to increase awareness of the importance of literacy. By recognizing current achievements, the awards seek to inspire organizations, foundations, and other private sector groups to become involved in combating illiteracy. Looking for a TASC Prep Class? Looking for a TASC Test Seat? Looking for Teacher Professional Development?